We provide job oriented training, and cover both basic and advanced level concepts. 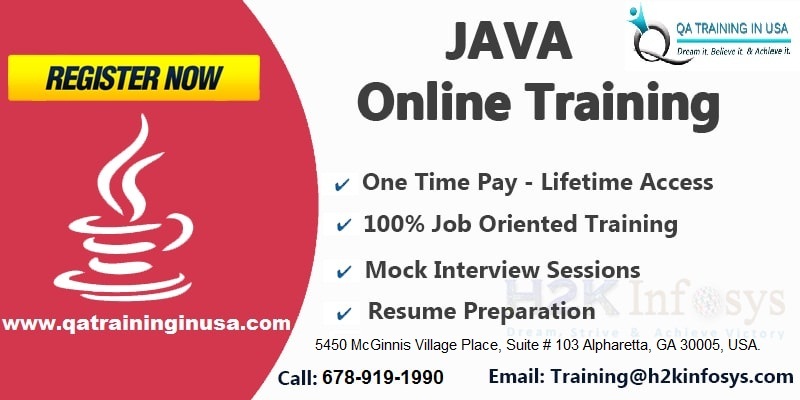 Our extensive 80+ hours of training along with real-time projects and domain knowledge prepares you for a successful..
QA Training in USA based in Atlanta, GA provides Java training online. Our job-oriented 100+ hours of training cover both basic and advanced concepts of Java. Real-time projects and domain knowledge i..
Our training includes detailed explanation with practical real-time examples. We cover the core concepts of Big data/Hadoop and work on various real-time projects like Pig, Apache Hive, Apache HBase. 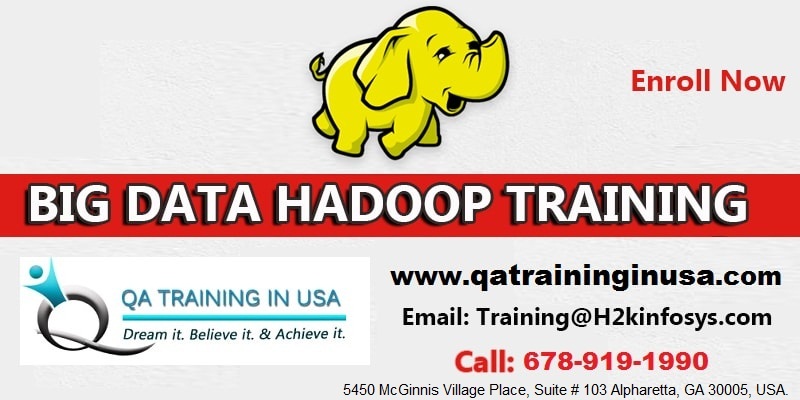 ..
QA Training in USA based in Atlanta, GA provides online training on the fastest growing technology. 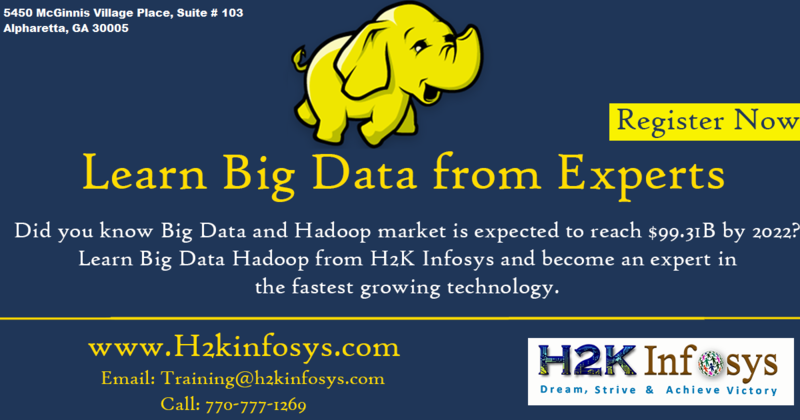 Our Hadoop training includes 40+ hours of detailed explanation on the core concepts of Big data/Hado..
Big Data Hadoop Online Training Classes By H2kinfosys Our training includes detailed explanation with practical real-time examples. 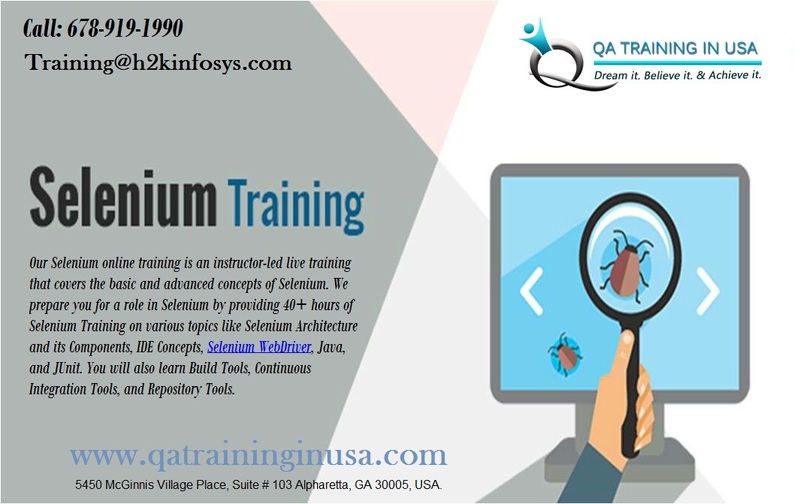 We cover the core concepts of Big data/Hadoop and work on various r..
QA Training in USA is a leading IT Training provider in Atlanta, GA. Our Selenium online training is an instructor-led live training that covers the basic and advanced concepts of Selenium. We prepare..